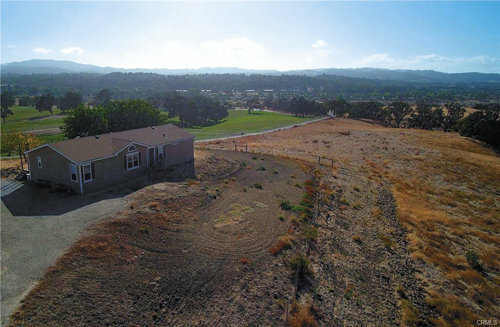 Here's your opportunity to own Salinas River Frontage property with beautiful Panoramic Views!!! Nestled atop a knoll of approximately 52 acres of rolling topography on the highly coveted Templeton Rd. This property is NOT in the Paso Robles Groundwater Basin Urgency Ordinance Area! The 3bd. 2 bath Mobile Home has formal living room and family room. The home site is a perfect spot to build your dream home. The property is completely fenced and includes an old milking barn. The possibilities are endless to fulfill your wants and needs with this property. The parcel is under the Williamson Act Contract.GREAT LOCATION puts you 9 minutes from downtown Templeton and 6 minutes from downtown Atascadero! THE POTENTIAL OF THIS PROPERTY IS UNLIMITED!